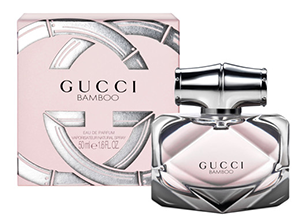 For the powerful and independent modern woman, Gucci Bamboo is a blend of exotic florals and woody notes. It’s designed with a woman’s multifaceted personality in mind – it is intense yet gentle at the same time. 3 words: I Love It! this perfume smells divine and lasts the whole day! To be honest out of all the perfumes I have tried out I must say this is the most excellent one because this, Gucci Bamboo EDP does not have a strong fragrance. This perfume is perfect for seeing anybody as you only have to spray once and the smell will last you the whole day, whereas other perfumes you have to spray two to three times. I used this perfume once I will continue using this perfume.